This month’s books from home were a biography of Marc Bolan, and the novel When God Was a Rabbit. I’ve read dozens of rock biographies and I couldn’t put my finger on what was different about this one. I realized it was written from a celebrity gossip point of view, rather than a music aficionado point of view. The author had access to many industry insiders who knew Marc Bolan, and was able to interview them personally. But they were mainly business-types, such as producers, promoters and agents. The book focused heavily on Mr. Bolan’s charisma, sense of style, friendships and sexuality. There was lots of dirt on his relationships with June and Gloria, his “rivalry” with Bowie, and exactly how he died. 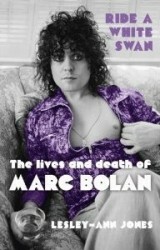 All the while, the author didn’t hesitate to discuss Mr. Bolan’s narcissism and substance abuse. Needless to say, it was an irresistible read! It was also a surprisingly good look behind the scenes at the music industry. Another positive was that the author described the era so that younger readers could understand how Marc Bolan fit in. I’m still waiting for a Bolan biography that focuses more on his musical impact, but this was a fun “fan” bio. I bought this book because it was well-reviewed and had a lovely book design, despite being clearly labelled as the story of a sister and brother growing up. In other words, I knew it would be a mild tale and not plot-heavy. The writing style pulled me in because each chapter was divided into little sections that ended with a resonant phrase, like “He let it go and allowed possibility to once again enter his life.” The first half of the book was episodic, describing sharp little moments in childhood. It seemed that Elly and Joe were being set up for a life of misery, but at least they had each other. I started loving the book when I saw it was actually about resilience. They not only survived their early experiences, but mostly thrived, and even their parents were three-dimensional people who both supported their children and had lives of their own. No matter what happened, they were always there for each other, and they even let other people into their family and made a bigger circle. The author included some magical events. I interpreted them as the child, Elly, wanting so much to believe that she saw magic all around her. Later in the book, there are some surreal coincidences. I read this as, “This is how we all wish our lives would happen,” with our loved ones returning to us, and never having to wonder about them. The last quarter of the book describes a very dramatic incident which overshadows the wistful tone of the rest of the book. By then we are fully immersed in the Wish Fulfillment aspect of the book. I found it overpowering, and too specific compared to the rest of the story. But I won’t dwell on it. I was left with the feeling that we can and will survive our pasts, and we can be there for others as they were for us. Very life-affirming! There isn’t room to post the reviews here, but you can read them on Goodreads (no Goodreads account needed). I’ve read ‘Room’ which I am sure someone around these blogging traps recommended, I also read in patch ‘Nice girls don’t get the corner office’. And I read another good book in quick succession with those two, but now it escapes my memory! It’s been too long since returning them and my new batch, I MUST sort that out today or tomorrow! I’ve read Room, Sarah. Quite unsettling! I have been remiss in my reading. Blogging everyday has taken my time. Dar, I love Marc Bolan. No you can’t fool the children of the revolution. Ah, I avoid books like Room, too creepy! I have a book club book next. I read Joe Cinque’s Consolation too – when it came out years ago. So disturbing the whole thing still stays with me. The murderer has just finished her PhD at Sydney Uni. (I google her occasionally and only just read some articles last week.) The whole thing is so unbelievable. 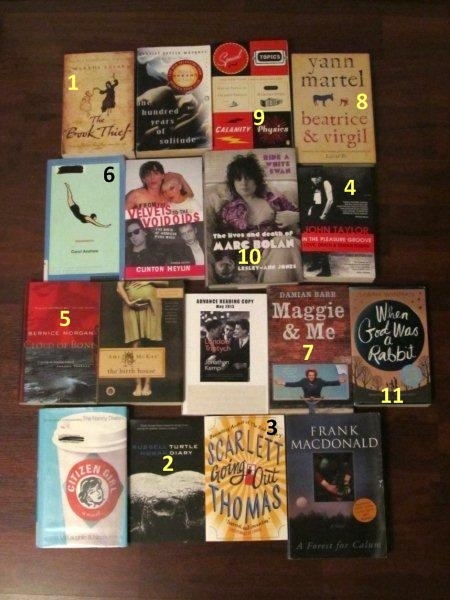 And I opted to rehouse most of the books I was going to read in this challenge Dar. They are quite happy to be in their new interstate home and their new owner has promised she will have them read by the end of this year! I love your solution, Cathy! I am enjoying my books “to a point” but I question my own tastes in choosing some of them. I’m down to the last few, and looking forward to being finished. 6 more to go – yay! It’s been a slow reading month for me. I’ve been trying to read Cheaper by the Dozen for a few days (it came highly recommended) but I just can’t get into it. I think I’m going to give up and move on! I did read that long ago but I don’t think it would hold up today. I agree: move on! I can’t think who Mark Bolan is, but if you want an entertaining look at some late 60’smusic, check out WSJ>life and culture>the making of whole lotta love; the text is great if you’re a music geek, but the video (5minutes) is awesome ( audience and all!). I just finished “The Dirty Life”, a memoir by a Harvard grad who marries and then becomes an organic farmer in NYstate. I love that genre, city folks moving to the country and raising chickens. I have read a couple of new-farmer books like The Bucolic Plague. Would rather read about it than do it, though! I have read a classic biography of Led Zeppelin called Hammer of the Gods. 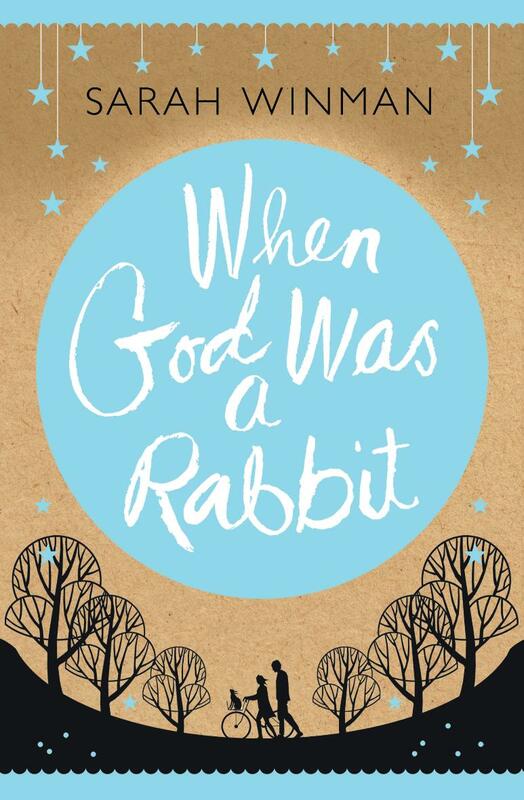 I wasn’t too sure about when god was a rabbit. It is well reviewed, but it wasn’t my cup of tea. I have been trying to read lots too. I am currently reading The Lizard Cage and am loving it! Just looked up The Lizard Cage and it sounds like a powerful book! I’m loving the Good Reads site. I like reading your reviews on there and it’s a great way to follow ‘trails’ and get new book suggestions. My 10 year old has also had people comment on his reviews, which he’s enjoyed! 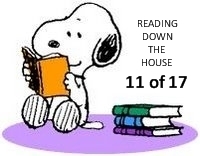 My reading is still going slowly but I’ve finished 2 more “Reading Down the House” ones. I’m keeping one and donating the other…a great way to get some selective book editing in! Thanks; I like Goodreads, too, and I think their recommendations are very good! Glad your reading continues. I am not leaning towards keeping my Reading Down the House books at the end of the year!